Say yes to fresh Thai-styled seafood! If you love all things seafood, Yaowarat Seafood at Serangoon offers an authentic Thai dining experience like no other! Yaowarat directly translates to Young King in Thai. It is also well-known as the Chinatown located in Bangkok. 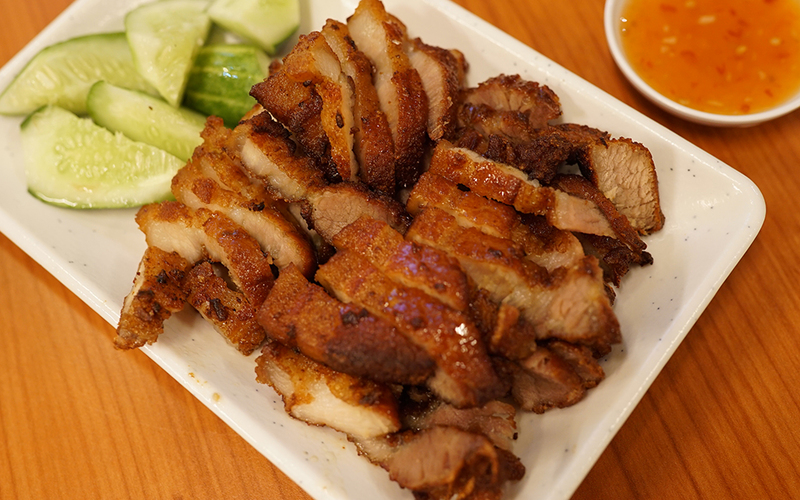 As a result, Yaowarat Seafood serves a blend of Chinese and Thai cuisine. We had to give their newly introduced Lobster Bee Hoon ($68) a try too! The staff here will even let you pick your choice of live lobster from their tank! The broth was thick and flavourful while the noodles were silky yet springy. The lobster meat separated easily from the shell and was super fresh. 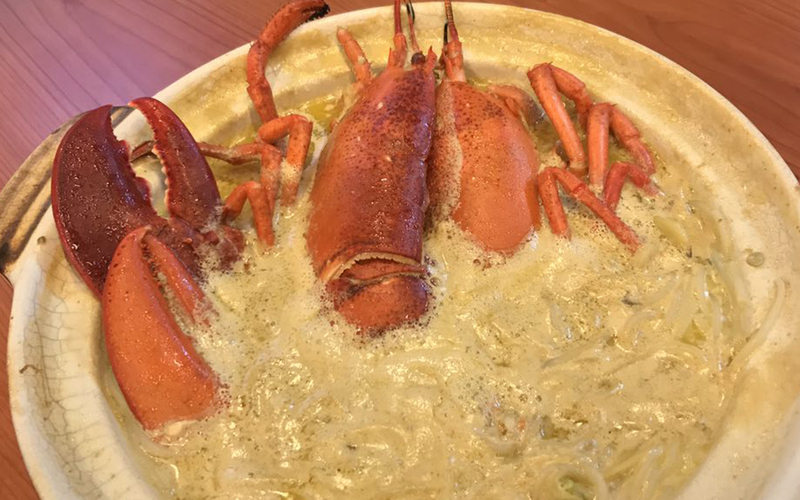 If you don’t fancy lobster, Yaowarat also offers Crab Bee Hoon ($46) and Flower Crab Bee Hoon ($48) on its menu. 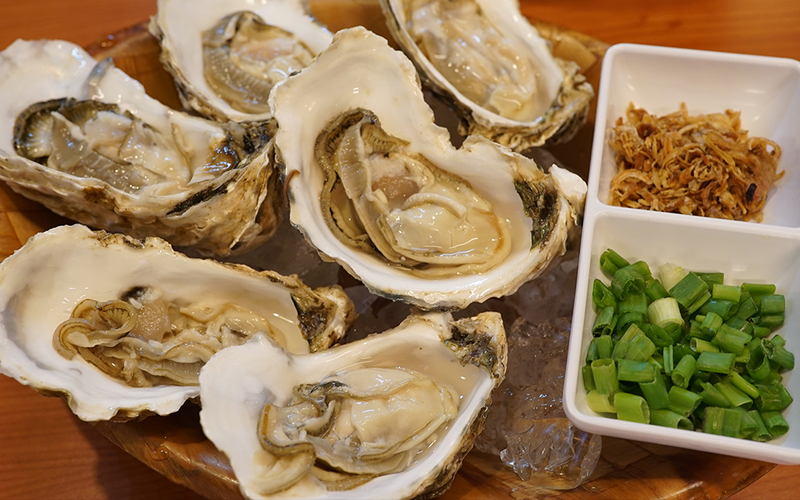 Here, oysters are freshly shucked and served with Thai chilli sauce, shallots and green onions! The best part? They only cost $2 each! For bigger groups, the BBQ Sri Lanka Crab Combo is a must-try! This huge set can feed up to 4 people and is only $68! You can even choose to have the dish steamed if you’re opting for a healthier meal. 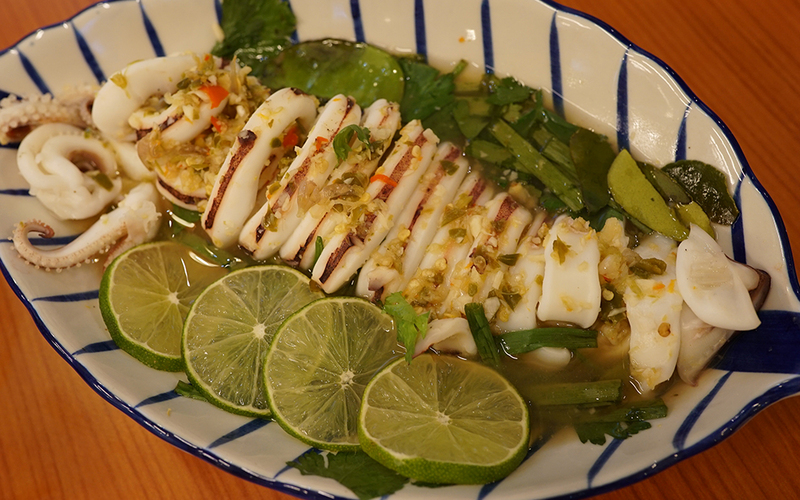 We also tried the Steamed squid with Thai Garlic and lime ($20) as well as the sinful Deep Fried Pork Belly ($12). The squid was fresh and didn’t have that typical fishy smell while the pork belly was crisp and juicy. We couldn’t stop reaching for it! The Coconut Ice Cream ($6) here is not to be missed either! With a generous amount of coconut ice cream, the dessert was served in a coconut husk. 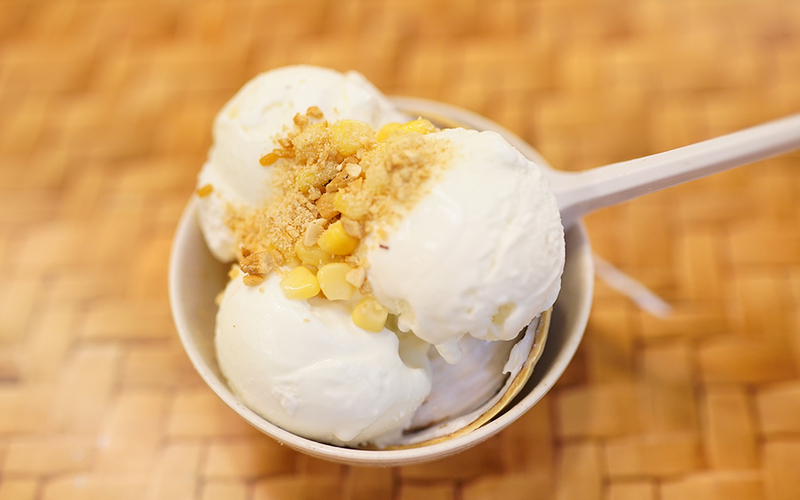 The corn and nuts sprinkled on top complimented the smoothness of the ice cream very well. 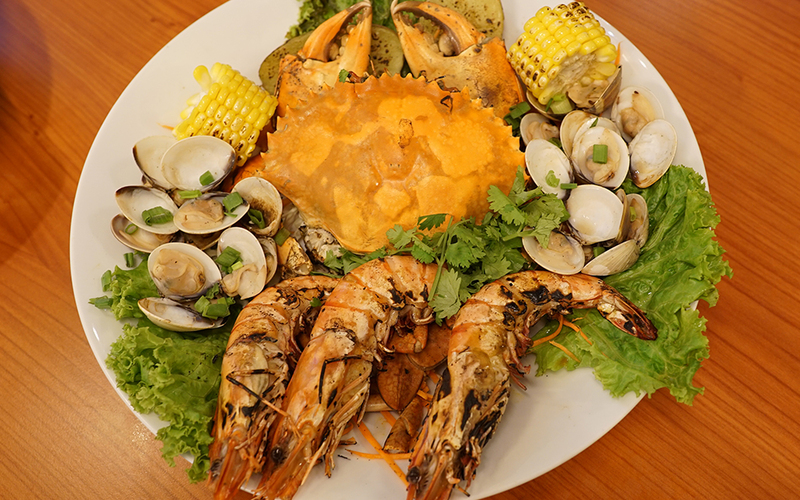 Yaowarat Seafood is perfect for family gatherings or even casual get-togethers with friends! Don’t forget to drop by the next time you’re in Serangoon!